Good day Xiaomitoday fans! Today we have a somewhat different product that you can buy from China. 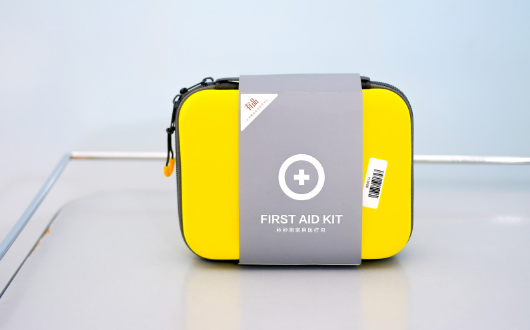 Moreover, the question is about the first-aid kit, but it’s not that simple as it comes come from everyone’s beloved company Xiaomi. 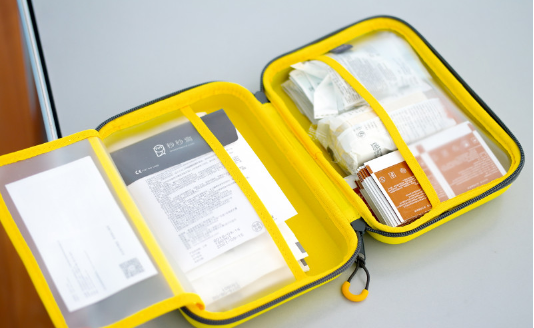 The Xiaomi First Aid Kit arrives in a travel suitcase, which can help in providing first aid away from amenities. 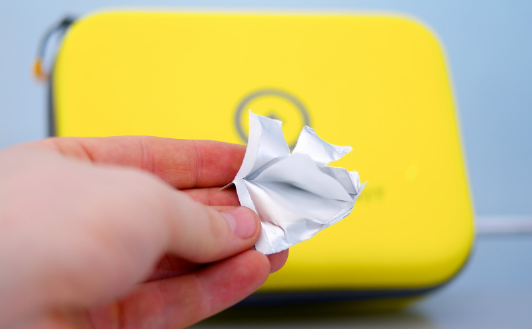 In fact, except for how to handle a scratch and close it with adhesive tape it will not work. 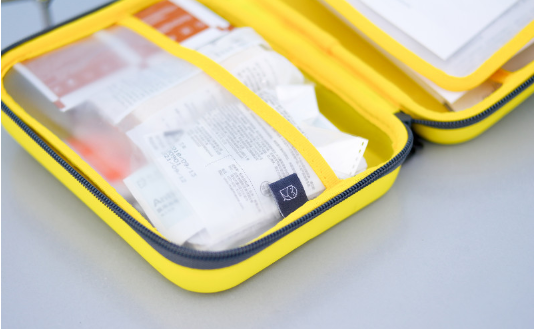 At the end of the review, we will also transfer all the available drugs to finance and understand how much these medicines can be bought for, and how much the first-aid kit costs. 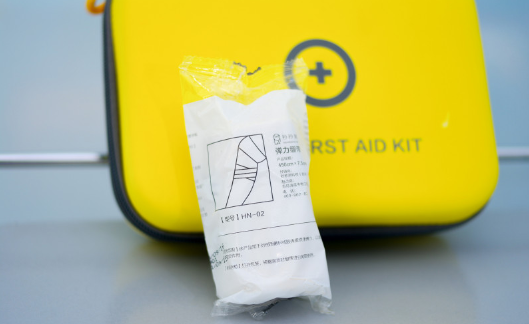 Ofcourse we can understand everything, and about the question as well, that what brings us to buy the first-aid kit via the Internet, and even from China? Maybe this is due to the brand love of Xiaomi and the desire to master all its gadgets and accessories, but we also wanted to show our readers if it really worth buying? Now, let’s start the review. 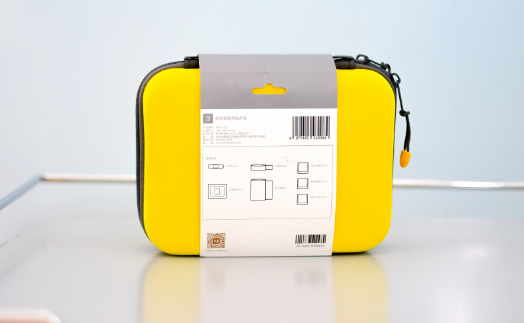 The Xiaomi First Aid Kit arrives in a small compact yellow case. With the case, Xaiomi definitely did a great job, with all the quality control and everything. 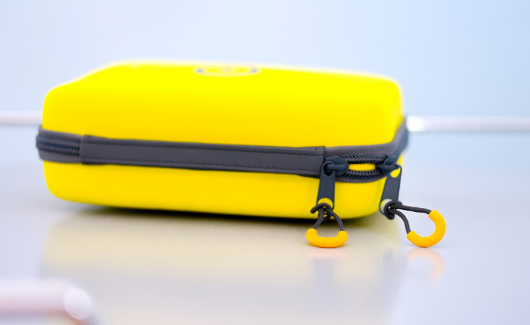 The yellow case is made of waterproof PU leather material. 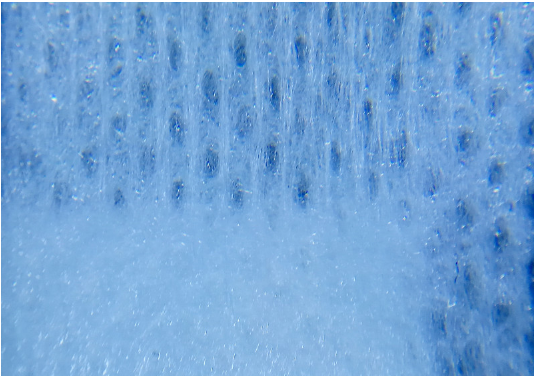 The outer surface is soft and rough but also like to leave a fingerprint on them. 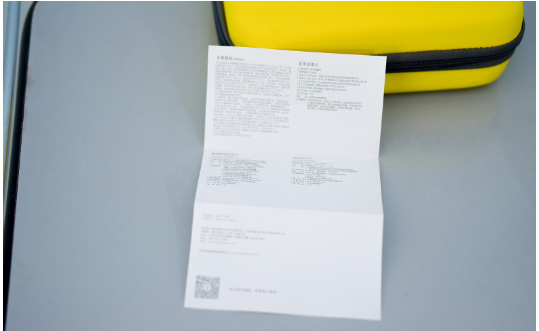 In the center, you can find the Xiaomi branding and First-Aid kit written, and on the back side, there is technical information and a description of the complete set. 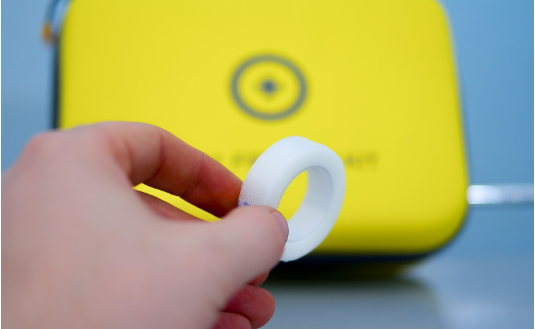 The case comes with the following dimensions – 190 * 140 * 60mm and weights 432 grams. The case is quite compact and suitable for hiking and adventurous sports, and also the house is quite fit. 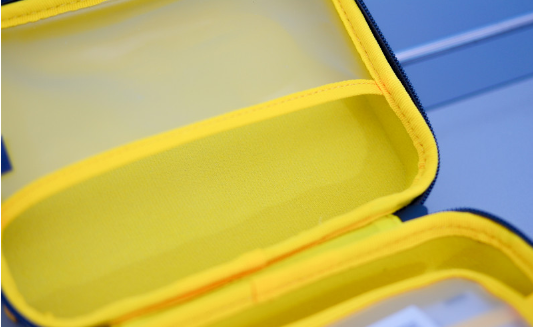 Moreover, the case has a gray plastic zipper with two metal dogs and a zipper opener for easy opening. Also for easy carrying, a strap in the form of the handle is provided. 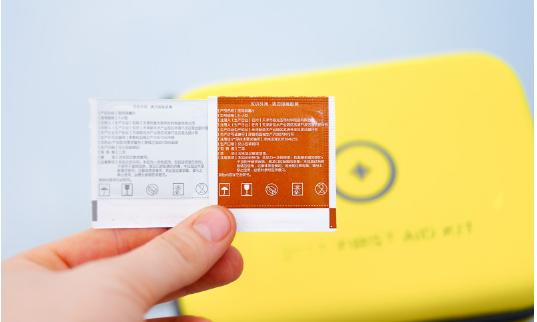 Before opening the Xiaomi First Aid Kit, we check the waterproof properties of the case by bringing it to tap stream. The excess moisture seems to roll off the surface, the rest is slightly absorbed, but the yellow color does not darken. After the test, we wipe it with a rag and then it does seem to be nothing. 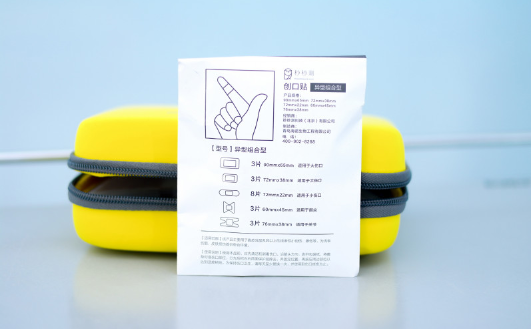 We open the Xiaomi First Aid Kit bag and get familiarized with the interior. 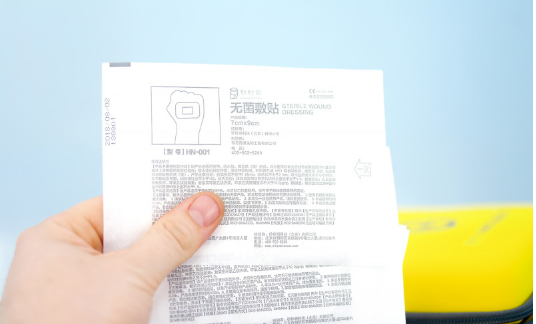 The lower part comes with only one transparent compartment, and the upper portion comprises a folding label for any documents and the same transparent chamber under it. On the right-hand side, there is a company label MiaoMiaoCe in the form of an owl. 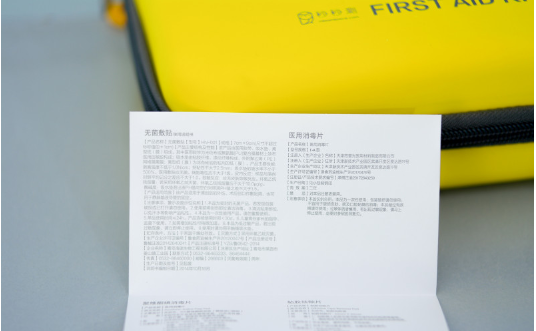 The MiaoMiaoCe is a companion of Xiaomi and produces health-related devices under their wing for monitoring body condition and so on. The instruction manual from the case apparently talks about each element of this set. However, there is a problem, the whole information is in Chinese. So we will understand the fact and how it is. We specifically decided not to indicate the whole complete set, but to talk about each component individually. For making it more interesting and clear. 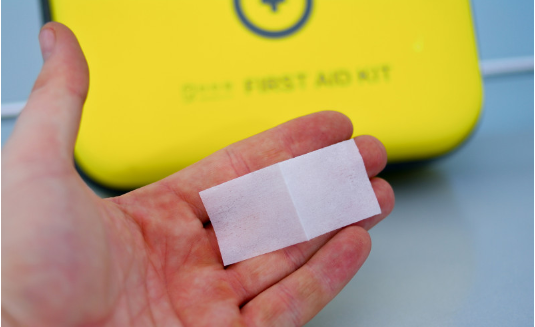 1) A set of adhesive plasters. They all are in separate packaging. Production date – 09/16/2018, valid until September 15, 2021. Inside you will get five patches all in different shape and size. Quantity – 3 pieces of each type, except for the usual rectangular, it put as many as eight pieces! 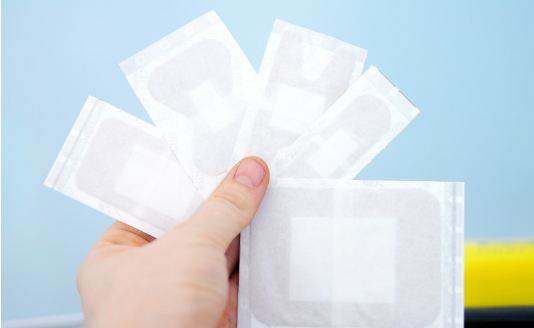 The patches are an excellent example of an ordinary oblong patch, in which there is a bactericidal layer in the center, and the rest is adhesive tape. 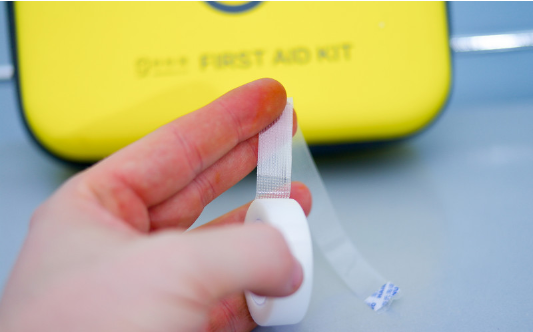 The patches stick good and after turning it around a finger, stick to itself. It also comes with waterproof impregnation, thanks to which water droplets roll down. 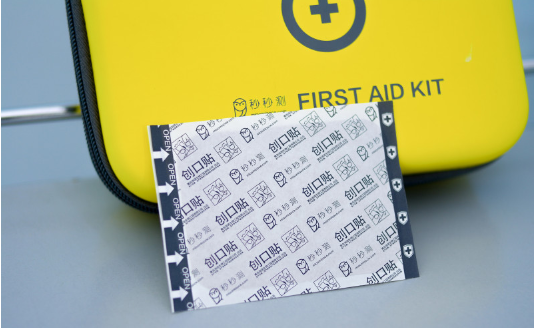 2) Next thing you will get inside the Xiaomi First Aid Kit includes Elastic bandages. Length – 4.5 meters, width – 7.5 cm. The shelf life is the same, apparently, the assembly is streaming, and most of the sets will have the same date. There is nothing special to say about the bandage, usual elastic bandage with clasps in the set. 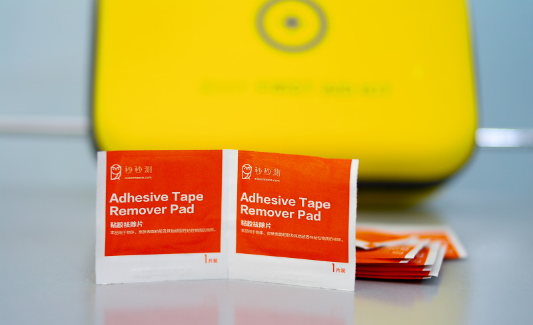 3) Adhesive tape. 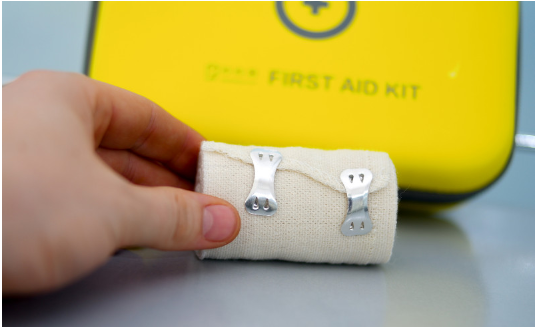 This is to secure adhesion to injuries, enamels, etc. (literal translation from Chinese). 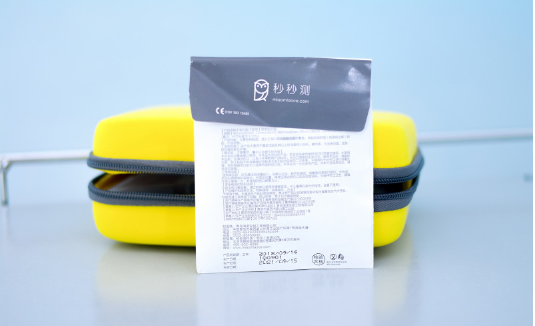 The size of the tape – 1 * 500cm and the material is similar to plastic. 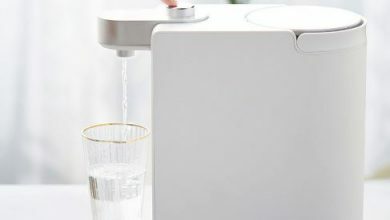 Because of its design structure, it keeps well on the hand and other surfaces. 4) Dressing package. Quantity – 10 pieces, sizes – 7 * 9cm. 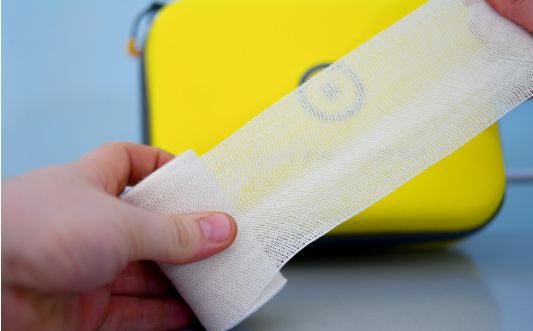 It allows you to clean the access of the injured area after its processing. 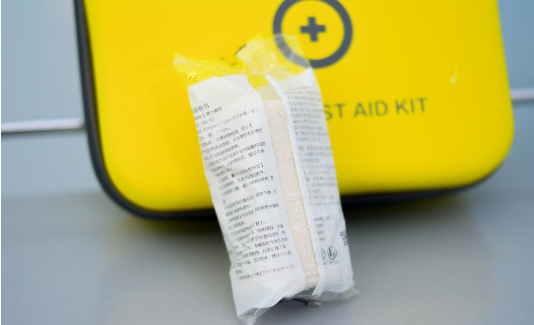 The main difference from the adhesive plaster of the same size is a ragged base. After the victim was stuck on the arm and left there for half an hour, after peeling off, an allergic reaction in the form of redness appears. 5) Povidone-iodine. 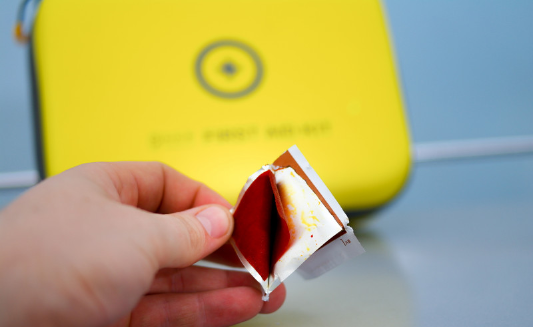 There is a set of 50 wipes impregnated with iodine and polyvinylpyrrolidone. This is some excellent stuff as its very different from ordinary alcoholic iodine, first of all, the absence of alcohol in its composition. After its use, it does not leave burns and also does not cause irritation on the skin and has a longer pharmaceutical effect. They can be use as dressings. 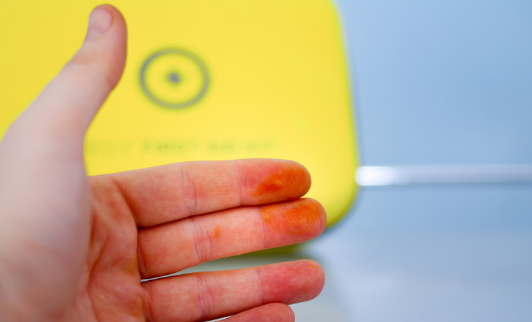 Also, it is easier to wash than ordinary iodine from hands. 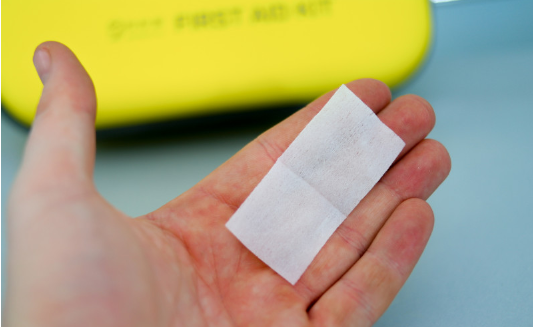 6) Napkin to remove residual adhesive tape. In fact, the usual napkin antiseptic. After the adhesive tape, nothing is left, so the application was also not found. Number of napkins 20 pieces. 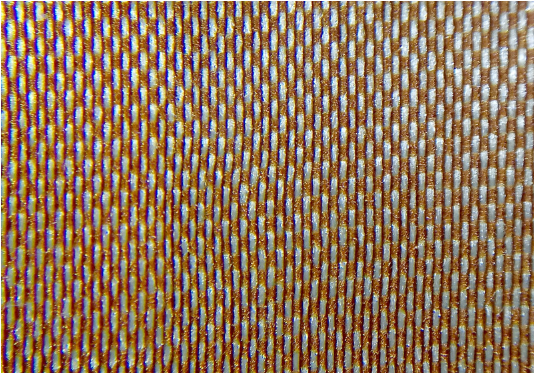 Dimensions – 65 * 30mm. 7) Antiseptic Napkin. 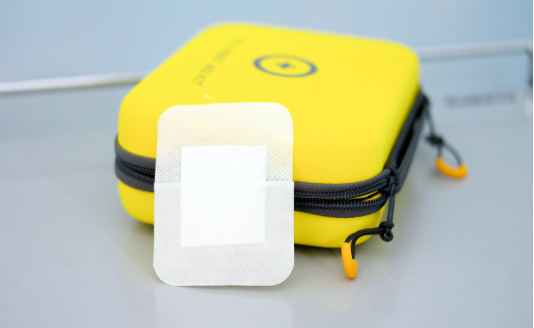 It comes with antibacterial and antimicrobial effects, as well as serve to disinfect the wound surface or the injection site. 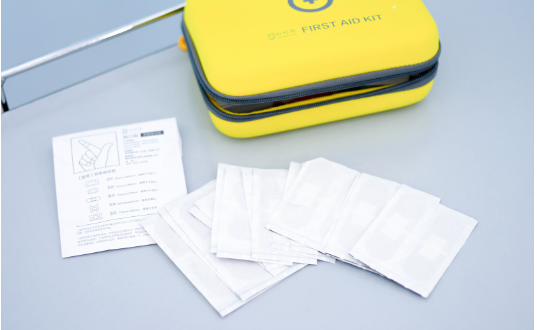 The Antiseptic Napkin is soak in an alcohol solution. 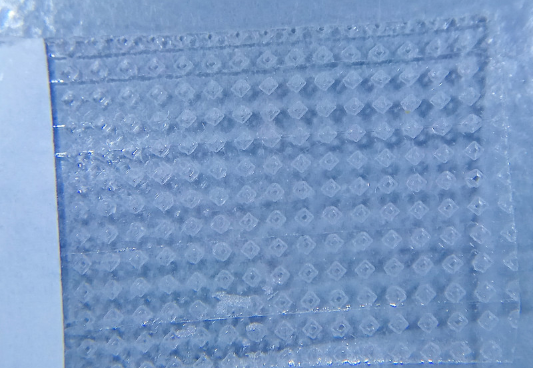 The total number of 50 pieces, the dimensions are the same – 65 * 30mm. 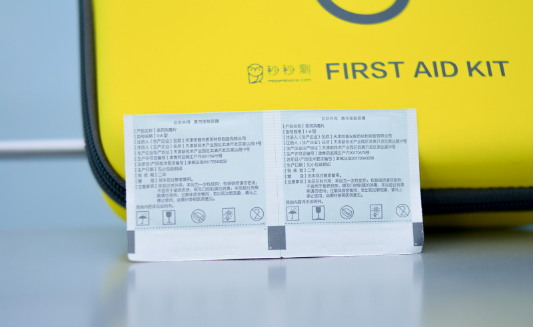 After familiarizing ourselves with the entire component from the Xiaomi First Aid Kit, we will proceed to price in the pharmaceutical market. 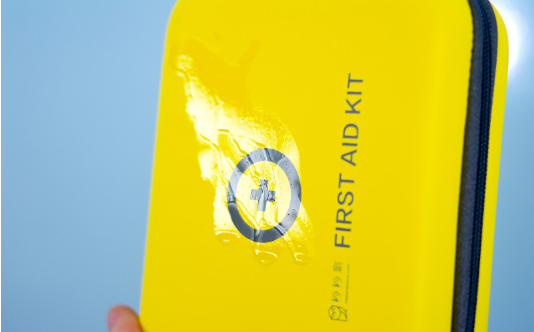 In the left column, we will use “things” from the first-aid kit, in the right column there is a price tag for an analog of the US market. 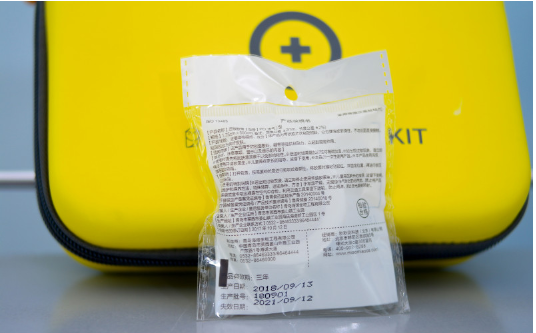 After calculating the prices of the different component from Xiaomi First Aid Kit and comparing with the price tag in online stores, we get $45. 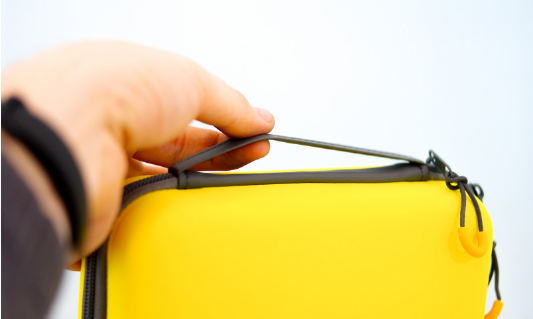 The yellow suitcase, however, was left excluded. Even taking into account the case and the receipt of a price tag of $45, the gain from Xiaomi is two times. 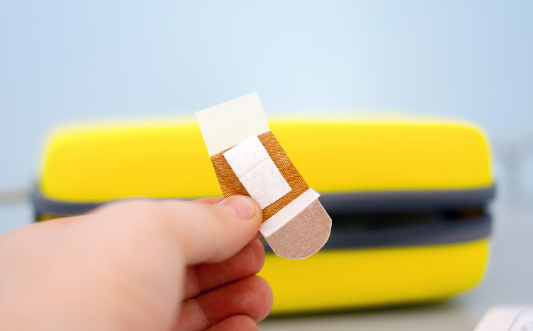 Moreover, even in 3-4, as the conveyor production of these adhesive plasters is obviously inexpensive. 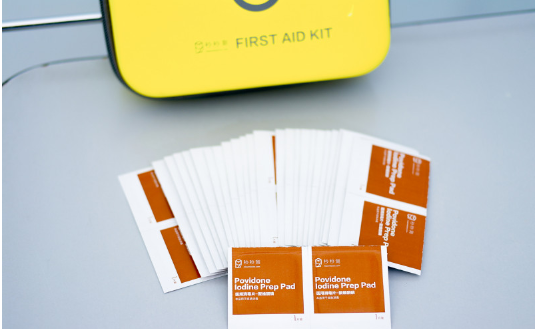 So what do we get when we buy Xiaomi First Aid Kit? 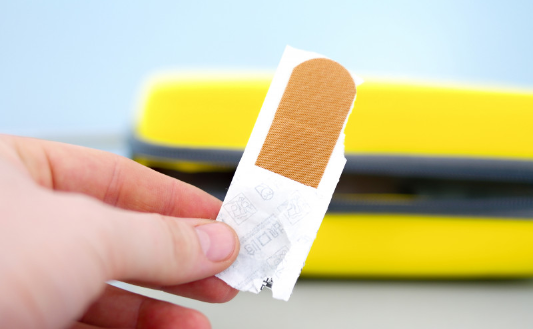 A bunch of adhesive plasters, which will last until the end of life, an incomprehensible tape, a useful bandage and an excellent briefcase for a standard first aid kit with the right set of medicines. 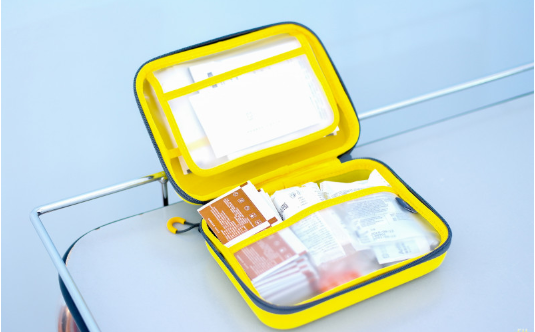 Moreover, it is really easy to carry the First Aid Kit around when it comes in such beautiful case. 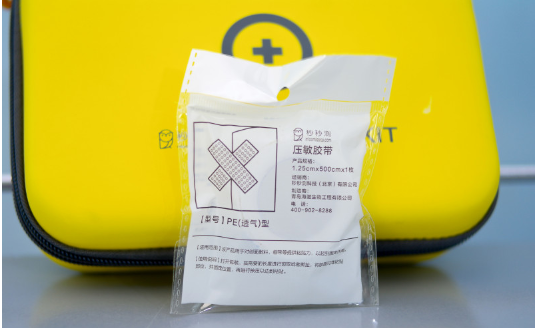 Where to buy Xiaomi First Aid Kit? 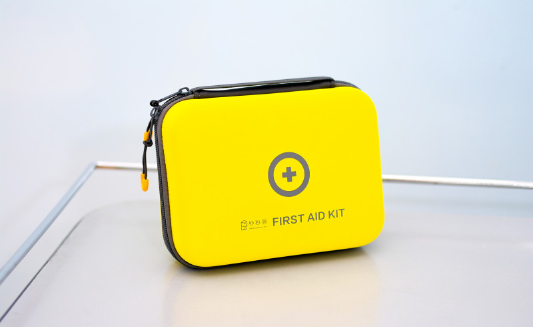 The Xiaomi First Aid Kit is available on gearbest for just $44.60.